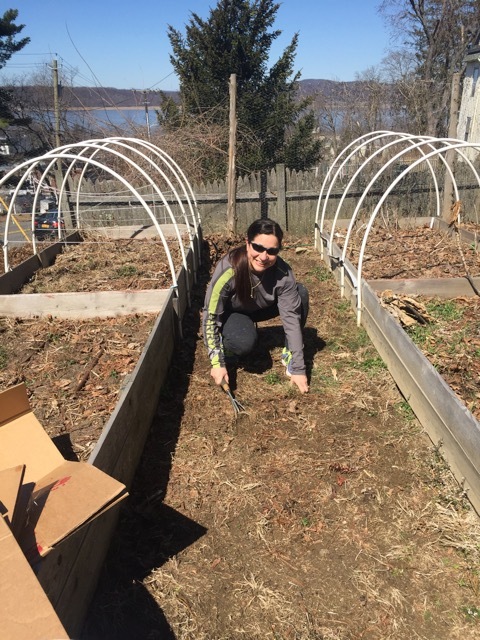 Things are starting back up at the Kitchen Garden! 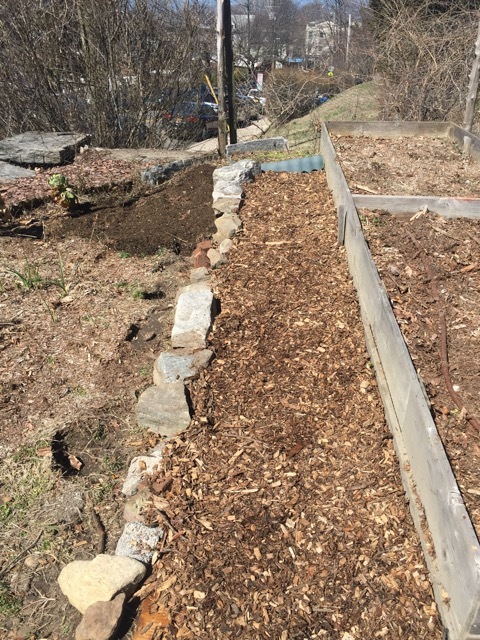 Two weeks ago, a small but hearty crew (Els, Ben, Marcelo) began preparing the garden for spring planting--building up the community beds with dirt and compost and ripping up the crabgrass in between and covering the bare earth with wood chips from the pile in the parking lot. 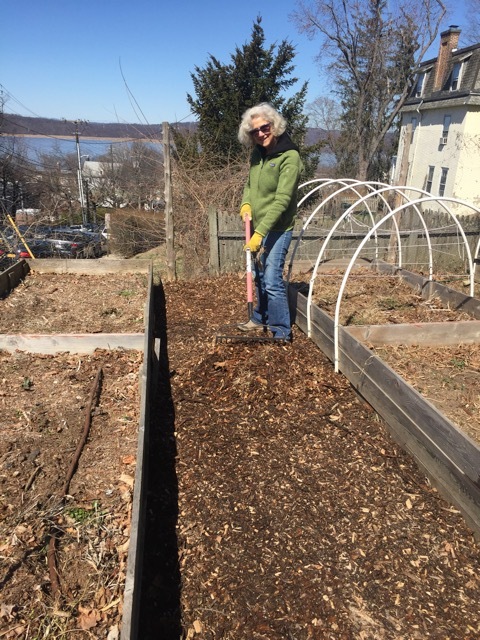 This past Saturday, a larger group of us joined in—Marcelo, Solange, Susan, Blanca, Laura, Iris and Els. 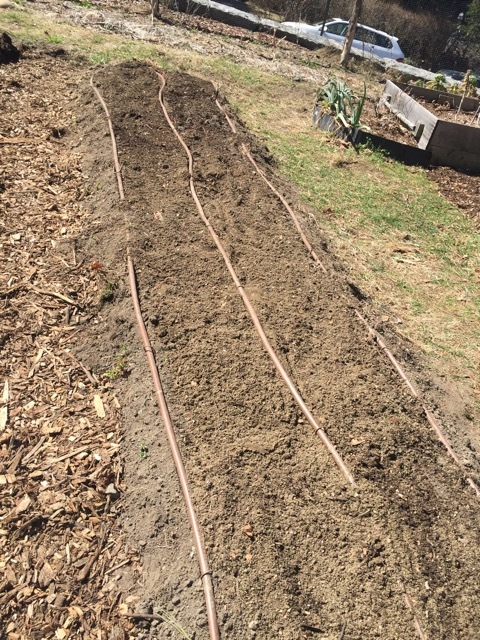 We managed to get the irrigation lines on top of those newly built up beds (which we hadn't been sure we could) and removed more crabgrass and laid down wet cardboard and then a layer of wood chips. Lots of trips with the wheelbarrow! 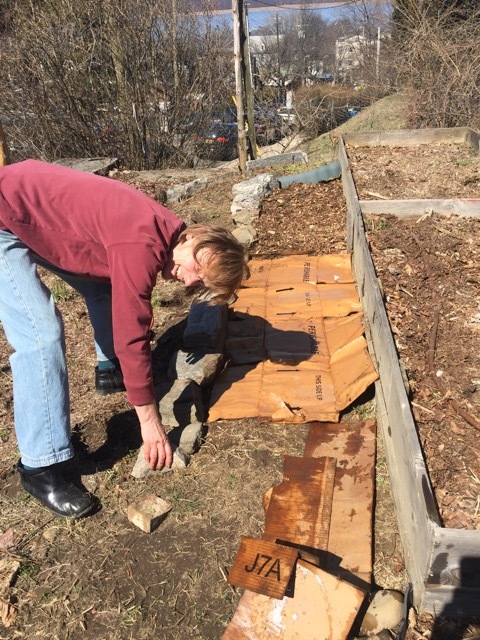 We began enlarging the community bed on the street side. 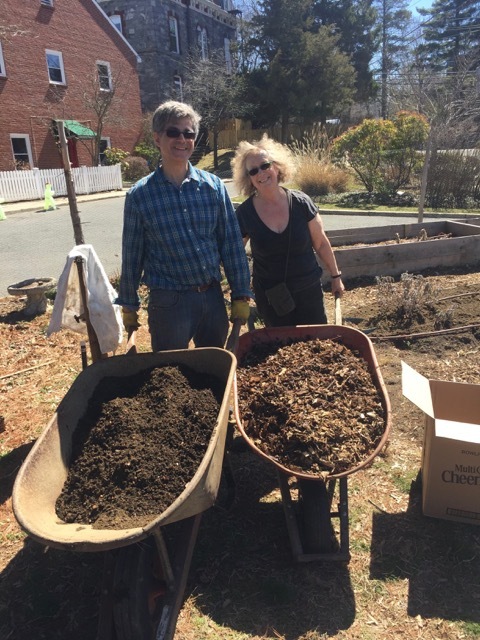 Marcelo and helpers sifted the compost and put it on the community bed near the street and mixed some into the dirt pile to continue improving its usefulness. 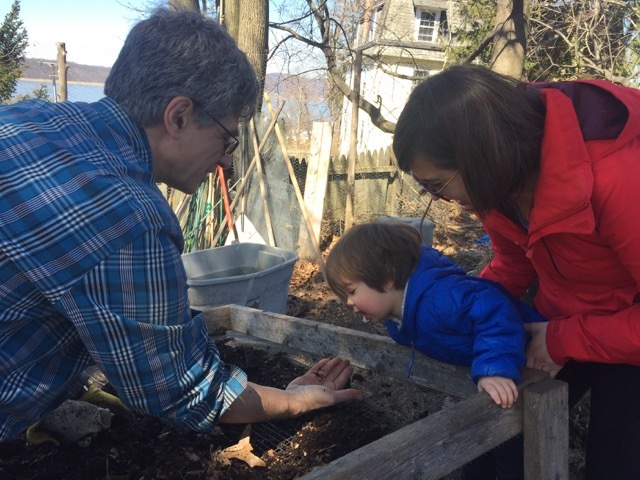 A highlight was when a young gardener/scientist stopped by with his mom and enjoyed examining the worm Marcelo found in the compost.